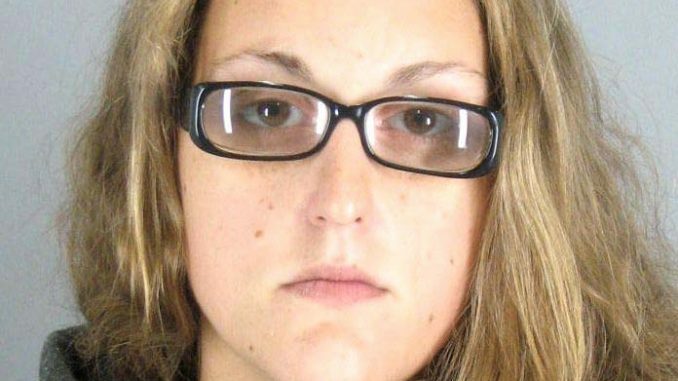 The Redwood City woman accused of trying to drown her newborn baby boy after giving birth in a McDonald’s bathroom yesterday (Jan. 14) accepted a plea bargain and will not stand trial, a prosecutor said. The jury trial for Sarah Lockner, 26, was set to begin yesterday in San Mateo County Superior Court. However, Lockner pleaded no contest to felony child endangerment causing great bodily injury, with the maximum sentence of four years in state prison, said District Attorney Steve Wagstaffe. The baby she allegedly tried to drown, Adrian, is now 16 months old and has been living with his father’s aunt. He has shown no signs of developmental disabilities, according to Wagstaffe. “All the benchmarks a child needs to hit, this child is hitting,” Wagstaffe said. Lockner was previously charged with attempted premeditated first-degree murder causing great bodily injury. If she had been convicted of that charge, she could have received as much as seven years to life in prison. On Sept. 4, 2017, Lockner was at work at the McDonald’s at 185 Chestnut St. in Redwood City when she began to suffer from stomach cramps and started to feel warm and fatigued, according to court testimony. Lockner told the investigating police officer that she felt like she needed to use the restroom and that she had excruciating menstrual cramps. But after using the bathroom, Lockner noticed an umbilical cord and a newborn baby face down in the toilet. Lockner allegedly told police that she had picked the baby up, wiped off his face, and placed him back in the toilet, face up, and denied trying to drown the boy. 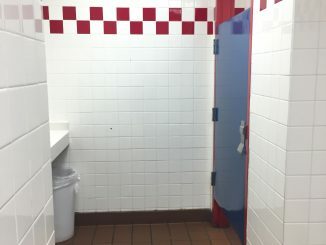 One of Lockner’s fellow employees entered the bathroom and looked over the stall to see Lockner with her hand on the baby’s back. But the employee could not tell what Lockner was doing, whether she was pushing the baby down, trying to pick it up or just resting her hand on the baby, according to Detective David Cirina, who interviewed some of Lockner’s co-workers. At that point, the co-worker asked Lockner if she was trying to kill the baby, to which Lockner told her no, according to Alifano. The co-worker then told Lockner she was going to call the police. Wagstaffe said that Lockner’s attorney, Jonathan McDougall, wanted Judge Stephanie Garratt to schedule a sentencing hearing where he could argue for a lighter sentence than the four years. But an agreement on whether to hold the hearing wasn’t decided until yesterday. Lockner, who is currently in jail in lieu of $11 million bail, will return to court on May 3 for sentencing. Garratt could give her probation or as much as four years. McDougall will likely argue for probation. Wagstaffe said that if Lockner receives the four years sentence she will have to serve just over two years because of the time she’s already spent in the county jail since her arrest. What is not yet known is what sort of psychological help she may get. McDougall, Lockner’s attorney, did not return the Post’s messages yesterday. Dr. Cara Angelotta, who specializes in women’s mental health and pregnancy, testified at Lockner’s pretrial hearing that Lockner may have been suffering from “pervasive pregnancy detail” — when a woman lacks the awareness that she is pregnant, despite all of the signs pointing to the contrary.